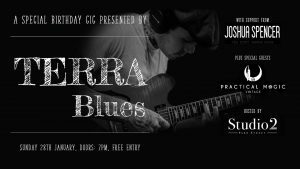 Here you can see all the upcoming gigs throughout January! 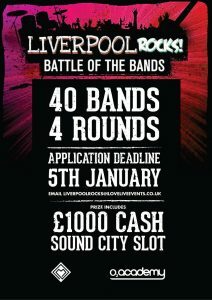 Liverpool Rocks returns with a chance for a local artist to win £1000 and a slot at this year’s Sound City, when the festival returns for it’s 11th year and back to it’s roots. The deadline to sign up is Friday 5th January! Do you love music as much as we do? 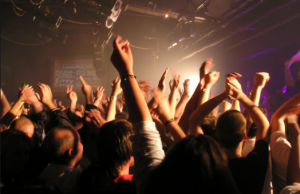 Enjoy going to gigs at the Arts Club or catching a band play in the O2 Academy? Then you should join the team! JACKS are looking for writers and photographers, if the above sounds like you then click here and get in touch!